Every business and ribbon lover needs a staple sheer in their ribbon repository. This new 3/4 inch variegated sheer ribbon with edge can fit a plethora of needs from packaging to gift wrap and more. From solid to variegated colors, this ribbon can stretch from everyday use to special occasions. The edge on the ribbon makes for better longer lasting bows. 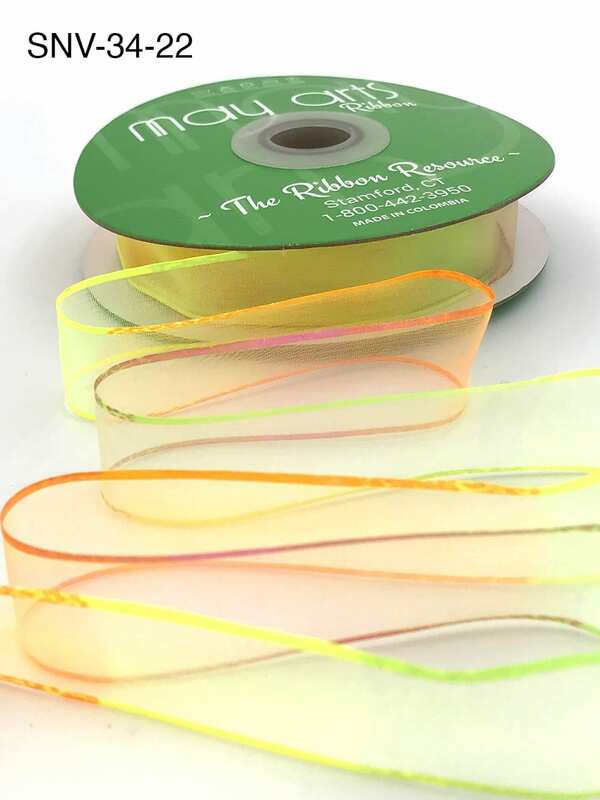 The sleek matte finish of this ribbon adds a sophisticated touch, and while the ribbon is sheer it is not as transparent as other sheer lines so the color will show well even by itself. Florists are sure to get many requests for the variegated colors since ombre touches are hot for weddings. The 3/4″ is a great statement piece for corsages. 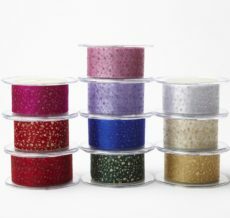 Ideal for DIY projects, fashion, scrapbooking, gift-wrapping and greeting card decoration too! At 54.7 yards (50M), this bulk roll will last for many project needs.